Akron, Michigan; Wentzville, Missouri, near St. Louis; Nappanee and South Bend, Indiana; Danville, Virginia; Luzerne County, Herrick Center and Ellwood City, Pennsylvania; Coventry, West Warwick and Warwick, Rhode Island; Hamblen County, Tennessee; Hailey and Jerome, Idaho; Norman, Oklahoma; Lubbock and Odessa, Texas; east of Roswell, New Mexico; Cedar Falls, Iowa; Plainfield, Connecticut; Kansas City and Plattsburg, Missouri; Newark, Delaware; Mesa, Arizona; Jackson, Mississippi; Asheville, North Carolina; St. Johns County, Florida; Pilot Valley, Nevada; Salisbury, Maryland; Chehalis, Washington; Flintstone, Georgia; St. George, Utah; Paducah and northern Kentucky — all between January 1 and February 8, 2015. February 9, 2015 Albuquerque, New Mexico – The first week of February 2015 has continued the January trend of increasing number of boom reports. Now people in at least 25 states in only five weeks have reported loud, often repeating, boom phenomena to local emergency authorities, to social media, local news media and Earthfiles. What is producing all these explosive, house-rattling boom sounds that leave authorities searching for causes, but not finding any answers? And why is the federal government’s Dept. of Homeland Security completely silent? Paducah, Kentucky, is in a cluster of boom sites since 2011, that include Fort Knox, Kentucky, south of Louisville; the St. Louis, Missouri region; and Nashville and Knoxville, Tennessee. 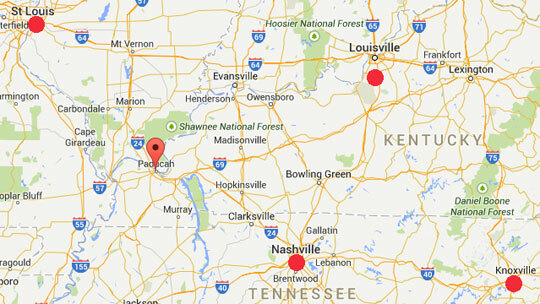 I live in Paducah, KY with my fiancee. Last night, 02/08/2015 at around 8:30pm CST, we heard what could only be described as a very loud explosion. Then a few milliseconds after the first, a second one was heard and felt as this one actually made the apartment complex that we live in tremble. Apparently similar noises being heard between the hours of 8pm – 3:30am and it covered as much as five counties in the surrounding area. 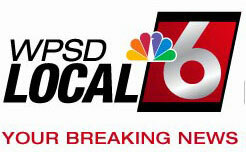 WE’VE GOTTEN A LOT OF PHONE CALLS AND FACEBOOK POSTS AGAIN FROM VIEWERS ABOUT LOUD BOOMS IN THE AREA THIS WEEKEND. MCCRACKEN COUNTY SHERIFF’S DEPUTY TRENT HARDIN SAYS THEY ALSO GOT SEVERAL CALLS ABOUT THE BOOMS, SPECIFICALLY IN REIDLAND AND NEAR THE GRAVES COUNTY LINE. THEIR INVESTIGATION DIDN’T TURN UP ANYTHING OF CONCERN. DEPUTY HARDIN SAYS THERE’S NO EVIDENCE POINTING TO TANNERITE – A TYPE OF EXPLOSIVE USED FOR TARGET PRACTICE. 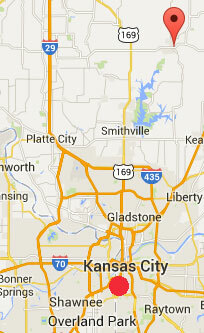 Plattsburg, Missouri, is about 40 miles northeast of Kansas City, both regions of repeated loud, mysterious booms. Asheville, North Carolina is in the Great Smoky Mountains 116 miles east of Knoxville, Tennessee, another region that has had boom reports. Charlotte to the southeast of Asheville is North Carolina’s largest city. I know that you reported on strange booms around the country in the past and more recently on Coast to Coast. I just wanted to pass along an update from the western part of Buncombe County NC. I live about 8 miles outside of Asheville, NC and between 4:50 and 5:30 PM this evening 2/7/15 I heard 3 separate booms that were very startling. I contacted the local sheriffs office and they said I was the first to report in on the sounds. Very strange, thought you might like to know. The St. Johns County Sheriff’s Office received about 50 calls before 11 a.m., Friday, February 6, 2015, many from the Ponte Vedra Beach area southeast of Jacksonville. The calls also came in from the Nocatee, Palencia, Fruit Cove and Durbin Crossing areas. 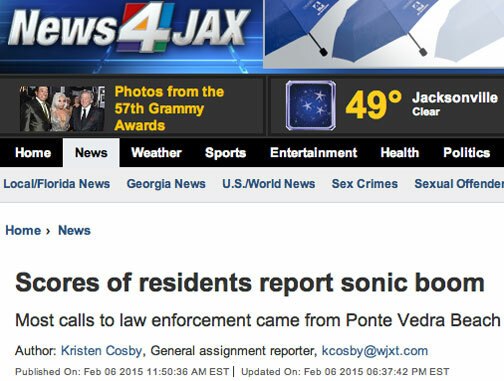 Huge explosive booms were reported February 6, 2015, throughout St. Johns County, Florida. Military bases said not theirs. More mysterious boom reports elsewhere. 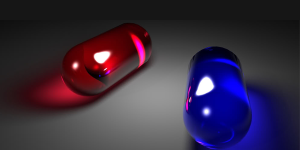 Click here for News4Jax, Jacksonville, Florida. 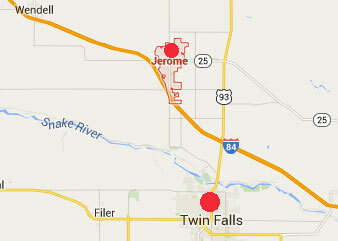 Jerome, Idaho, is 118 miles southeast of Boise and only 13 miles north of Twin Falls in the Magic Valley of southern Idaho. Dear Ms. Howe, I live in the small town of Jerome, Idaho, about 10 miles north, across the Snake River Canyon, from Twin Falls. I was very intrigued with what you had to say about the “Big Booms” the other night on Coast to Coast Am. I live in the Magic Valley in South Central Idaho. It has quite a few small towns and one, what we call a city (Twin Falls, Idaho), is scattered across the lower Snake River Plain. The Magic Valley is about 24,000 square miles and is the bread basket and the dairy capital of our state. Here I have heard BIG Booms and Rumbles on a regular basis. After which everyone calls in to the local police, TV stations and radio stations. Booms here in southern Idaho are usually heard and felt at night. The next day we hear from the Boise State University Geologic Department that always tells us there were NO earthquakes! We also have the Mountain Home Air Force Base about 45 miles away and they always say they had NO activity during that time and DO NOT break the sonic barrier and have nothing to do with what we hear and feel here! It is a deep and low noise and it will rumble over the entire valley. To me it feels like standing next to the P.A at a Grateful Dead concert when Phil Lesh plays his low strings on his bass guitar! Right in the gut, and the house doesn’t rack and twist or even shakes, it VIBRATES!! I have never recorded the boomings, nor do I know anyone who has, BUT I will investigate and find out if it has been. 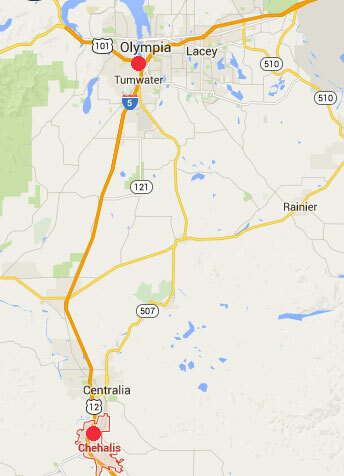 Chehalis, Washington, is 30 miles south of Olympia. Just to let you know there’s been a series of booms over Lewis County, Washington state today (south of Seattle and near Mt. Rainier). I went online to possibly see if there was any explanation and it led me to your Earthfiles.com website. Chehalis is the main area where booms were heard, but also reports east of there. There is a Facebook feed called Lewis County Sirens where people are posting about it. You might want to check it out. I also saw various military planes that we don’t usually see and they ended up headed towards the Mt. Saint Helens area. I’m sure there’s probably just some logical explanation like the military is practicing, but it’s really weird. It woke me up this morning. Several other people have the same reports of waking up to loud booming this morning and their dogs growling and barking. We had the same issue. St. George, Utah, is 120 miles northeast of Las Vegas, Nevada. The highly classified Area 51 in the Nellis AFB complex is 83 miles northwest of Las Vegas. More booming noises @ about midnight tonight here in St George Utah. Rattled the windows of the house. Last night I felt a fast loud rumble and immediately thought it was an earthquake. It was brief…maybe 2 or 3 seconds and shook the house and rattled the windows. I checked the earthquake sites and saw no activity near us. I was on Facebook shortly afterwards and one of my friends nearby asked if anyone felt an earthquake. About 6 people responded that they had, all within about 3 miles of me. I live at Kimball Junction near Park City, Utah and people reported the noise all the way to Parley’s Summit which is about 3 miles west of me. One of the girls characterized it as feeling like a huge gust of wind that slammed briefly into their house, but there was no wind. 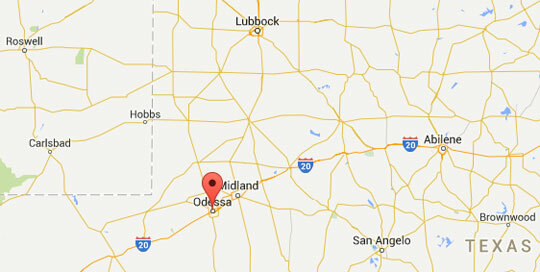 At 1615 central time on Feb. 3, 2015 a large boom was heard in Odessa, TX. Not only was the boom heard by all personnel in our work area, but all felt it. The boom shook vehicles, the ground, and one could feel it in one’s core. Salisbury, Maryland, is 115 miles southeast of Washington, D. C.
During the evening of February 2, around 7 p.m. I heard an unusual sound I can only describe as a very loud explosion or perhaps a sonic boom. The source seemed distant, but my house shook and my windows rattled. I had never heard anything like it before. 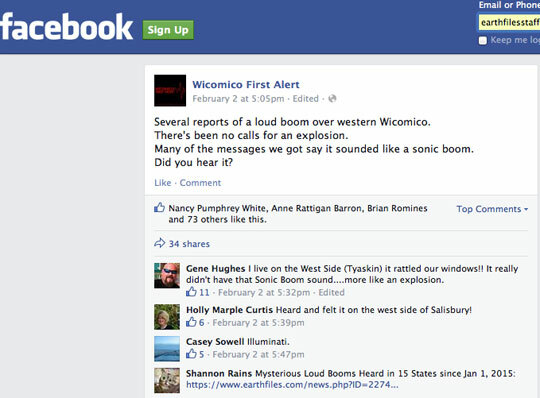 On the Salisbury, Wicomico County First Alert Facebook site, there are a string of comments about the sound. See Wicomico First Alert Facebook. 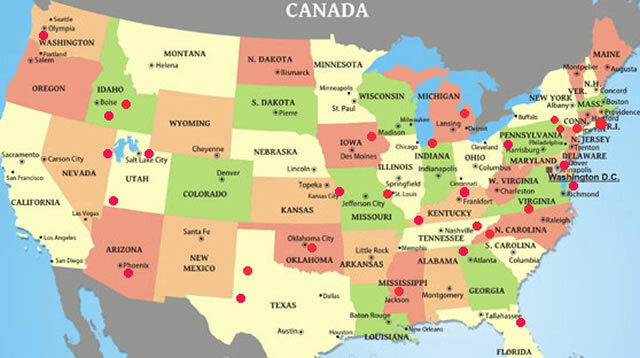 I listened to your interview on Coast to Coast about mysterious boom reports in 13 states, but Arizona was not one of them. In the last week or so, I have heard them twice — both in the Usery Pass area in east Mesa, Arizona. 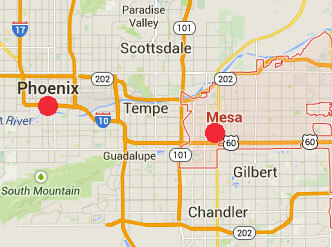 I did a Google search and found quite a few news reports of booms all over the Phoenix area in the last few years. The Verde valley was one area with numerous reports and in one of my incidents, that’s precisely where the booms seemed to be coming from. Verde Valley is north of Usery Pass, where the Verde River joins the Salt River. As I remember it, both incidents had multiple booms, at least two. It sounded like demolition, or military ordnance. Re: No clear answers after ‘mysterious booms’ on Feb. 1 and in late December. Date: Kansas City, MO, news Feb. 3-4. Also see 13) January 31 report below. 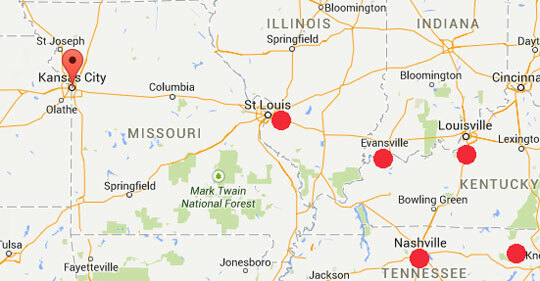 Kansas City and Wentzville, Missouri, boom reports are amid the other cluster of unexplained sounds between 2011 and 2015 from St. Louis to Evansville, Indiana, Fort Knox, Paducah and northern Kentucky, and Nashville and Knoxville, Tennessee. 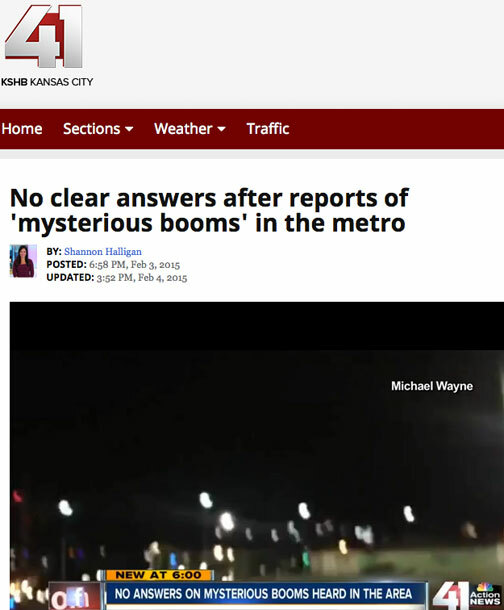 Click to KSHB-TV to hear Dec. 2014 mysterious boom sounds. February 3-4, 2015 KANSAS CITY, Mo. – Loud booms in the Kansas City metro on February 1, 2015, were reported to media and authorities. In a December 2014 YouTube video when there were other repeating booms (above video), you can hear what sounds like explosions. KSHB-TV Transcript: “He was out jogging in Kansas City near the Independence border, but he couldn’t tell where the noise came from. Brewer said he didn’t think it was a sonic boom either. “No, I’ve heard a sonic boom before when I was in the military but this was still pretty loud,” he said. KSHB News called Whiteman Air Force Base to see if they ran any training operations, but they didn’t have any aircraft flying this past weekend. In another YouTube video a locomotive horn goes off before a long boom. There are several train lines that run near the location where Brewer heard the noise, but he said that’s not where it came from. “I just got hired by Union Pacific and I’ve heard trains, so I don’t believe it would have been a train,” Brewer said. KSHB went to UMKC Assistant Physics Professor Paul Rulis. He didn’t know the source of the noise, but said there is a way to determine its location. “Once you have the equations and you have the recordings, you’d be able to figure out where that sound came from even if it wasn’t inside the triangle made by those points,” Rulis said. Another possibility is it was a “frost quake.” It’s rare but it happens when there’s a rapid drop in temperature. That causes an expansion of frozen water creating a sort of mini explosion. 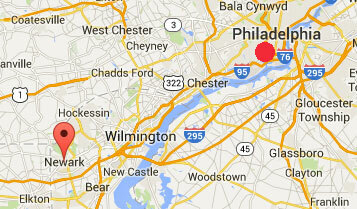 Newark, Delaware is 43 miles southwest of Philadelphia, Pennsylvania. I just listened to your report on Dreamland and I was reminded of something experienced here in Newark, Delaware, on January 6, 2015. It was snowing, but not extremely cold — somewhere around 28 degrees F. It had actually warmed up a little to snow and was forecast to get cold after the snow passed, so there was no quick temperature change in either direction during the snow. It was during the day from late morning to early afternoon, but I am not certain of the exact time. I was sitting at my computer, beside a large window. There was no flash at all like lightning. It happened only once, but the house shook (vibrated) from a loud, multi-toned, boom. By multi-toned, I mean it had more than one frequency or “note” all simultaneously, almost like a 2-3 note “chord”. Then if you would combine that with a vibratory booming of rumbling thunder that would be close.….or better yet — combine 2-3 low pitch tones with the grand finale of a fireworks show and there you’d have it for about 10 seconds +/-. It seemed longer at the time, because it was so strange, but I am saying 10 seconds looking back at it as being more accurate. The really weird thing was how long it continued. It was not a boom and gone. This lasted for about 10 seconds!! It sounded like it was above me and perhaps a little farther north in the sky, but that could be because the window faces the north and sound would travel through it louder than the brick walls. My phone rang moments later and it was my brother who lives 3 miles east of me. His words were; “Did you hear that?” I said I did and he said “What the hell was it?” …..neither of us knew. We have both heard “snow quakes” or “snow thunder” before. This was not that, this was very strange. Linda, today around 5:30 PM CST, the central and west parts of Missouri heard and felt loud booms. From east of Kansas City to inside Kansas, this was heard. 911 calls lit up. Facebook and other social media lit up. I live on a farm in Lafayette County, Missouri. I heard it, but our friends felt it. I can’t believe this happened here as I just heard you on Coast to Coast AM. Something is going on, but what the hell is it? Thank you for your work. Ellwood City, Pennsylvania, is 30 miles northwest of Pittsburgh. My name is Jeff. 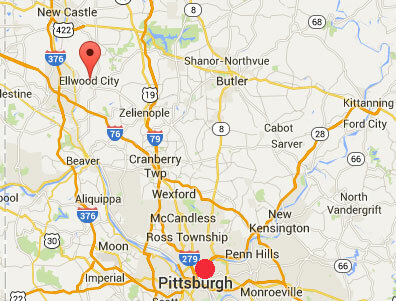 I live in Ellwood City, PA. Its located 60 miles north of Pittsburgh. I heard you on Coast to Coast on Friday 1/30/15. We have also been experiencing weird booms that SHAKE our home. 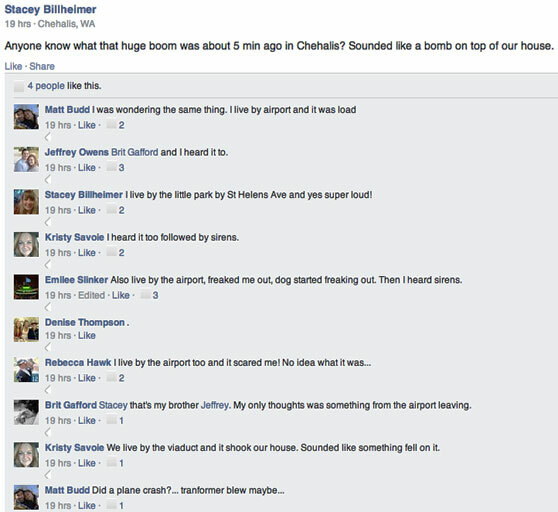 After a loud boom event, Facebook will light up from posts around the area from people wanting to know what it was. This all started about a year ago (2014) and in the last month of January 2015, we heard three different loud boom events. The one I remember most was around 10 PM on a Friday in mid-December 2014. I was asleep on the recliner and my 14-year-old son was playing a video game. The boom woke me, and the look on my son’s face was complete terror! He said he thought the windows were going to explode. I would explain the sound as a cannon, but the sound hits the house on all sides. Like the loudest thunder boom you could imagine. People I have talked to have also experienced this in other parts of western, and central PA. Hope this information helps you. 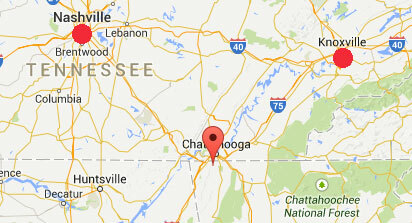 Flintstone, Georgia (Google marker) is just over the Tennessee border making a triangular relationship with Nashville and Knoxville, Tennessee, two areas noted for loud boom reports since 2011. A loud boom shaking our mother’s very sturdy house occurred at about 6:30 PM EST, January 11, 2015, in Flintstone, Georgia, 1.5 miles south of Chattanooga, TN. 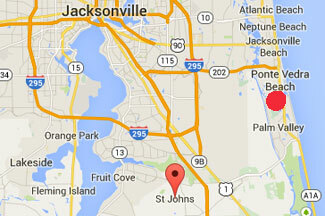 On January 26, two boom occurred about 2 miles south of there, also in Flintstone, at 5:58 and 6:01 PM Eastern time. I found no news reports on this or evidence of earthquakes on the USGS site. The discussion on Facebook described the booms as sounding like “explosions,” “something blown up,” or “thunder,” and said houses shook or windows rattled. Another FB participant said she’d heard such a boom “the other day,” but did not state the date. I am sorry I can’t tell you more. Thank you for all your work. Pilot Peak, Nevada, is about 250 miles straight west of Provo, Utah, near Salt Lake City, where there have been repeated cycles of loud, unexplained booms and military helicopters showing up where mysterious booms have occurred since 2011. 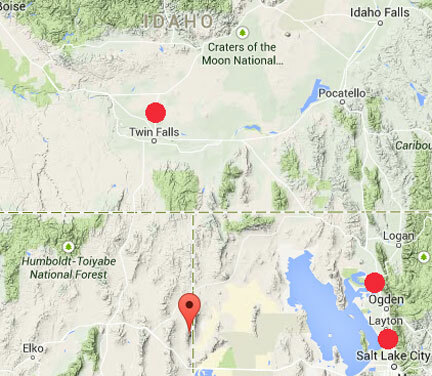 North of Pilot Peak is Twin Falls and Jerome, Idaho, in the Magic Valley where many booms have been reported. “Just suddenly out of the blue came this enormous, deep boom. It shook the windows, shook the whole house, and the floor. Todd took the words right out of my mouth! Pilot Valley is located in rural northeastern NV by the Utah Border. We have had these booms for sometime now. The first time it happened, I thought it was a sonic boom as we are close to the Utah Test and Training Range. However, the booms are becoming more frequent and more powerful. My animals are terrified by these booms and during the second week of January 2015 they occurred 4 times that I know about. The strongest one happened on January 8, 2015. On that day I was outside when suddenly BOOM BOOM two booms back to back. Those booms startled me so bad that I dropped to the ground. I could feel the shock wave hit me as to say I felt like it vibrated all through my body. I have heard many Sonic Booms in my life time, but this was something different than I have ever encountered before. My one dog refused to go outside unless I or my Son was with him and he stayed right by our sides. Only now has he started back to somewhat of his routine, but he is not the same. He starts to cower down even when a plane flies overhead. We that live in Pilot Valley are somewhat accustomed to strange happenings out here. We attribute this to our close proximity to the bombing range and Hill Air Force Base in Utah, but I have never in my 55 years experienced anything like these booms. If viewers have any information about the persistent boom phenomenon, please email earthfiles@earthfiles.com. All requests for confidentiality are honored. 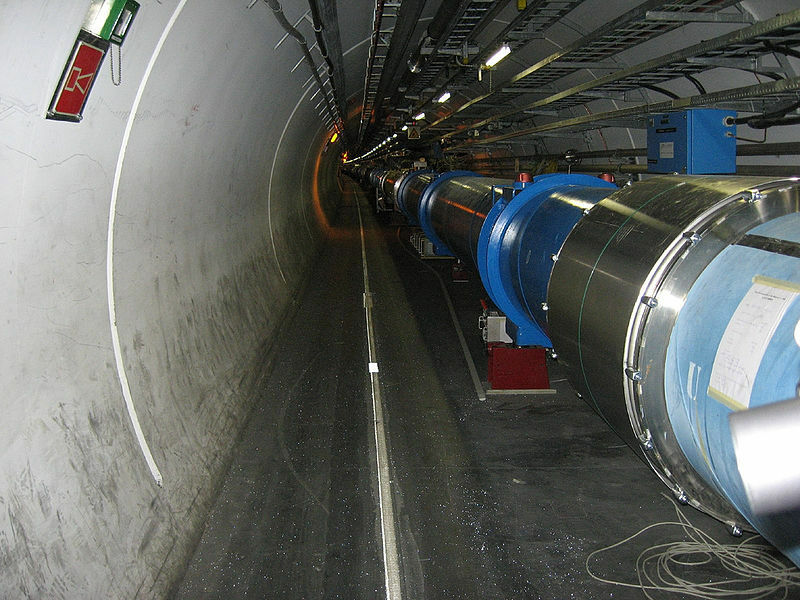 CERN is due to re-open the large hadron collider in March of 2015 in order to recreate the big bang, despite warnings from top scientists such as Stephen Hawking and Neil de Grasse Tyson. Professor Stephen Hawking is saying theoretically the Higgs Boson or the God Particle is very unstable at high energies and thinks that it’s possible with a large collider, much larger than any we’ve constructed, the god particle could break down time and space itself, destroying everything. After spending about $42,000 on a conventional prosthetic hand, 53-year-old Jose Delgado, Jr., who was born without most of his left hand, was left wanting. The seemingly lifelike hand doesn’t grip as well as he would like, and the ring and pinky fingers don’t work at all, and are there primarily for aesthetic purposes. It was really his only option until 3D printing came along, offering regular people the opportunity to design their own tools, parts and, in this case, synthetic limbs, for a fraction of the price of their conventional counterparts. Interestingly enough, it really wasn’t that hard for Simon, a 3D-printing expert, to design a better prosthetic hand for Delgado, and for a fraction of the price. Simon calls it the e-NABLE Hand, and it only cost him about $50 to make, or about one-tenth of 1 percent of what Delgado paid for his original prosthetic hand from conventional medicine. And the best part about e-NABLE is that it is more functional, grips better and is incredibly durable, something that Delgado isn’t able to say about his other hand. “It’s useful for carrying boxes,” stated Delgado about the functionality of the “Cyborg Beast,” the colloquial name for the 3D-printed hand. “This one [the $42,000 hand], if I grab something, it’ll just fall out. These have more grip,” he added, pulling on the slick, black appendages attached to the Cyborg Beast. The way it works is a series of non-flexible cords on the underside of each finger is attached to a tensioning block on the top rear of the device — Simon refers to this block as “the gauntlet.” As Delgado bends his wrist downward, tension is created and the Cyborg Beast closes its fingers, allowing him to pull or lift objects weighing up to about 20 pounds. When the wrist is returned to a normal resting position, a series of non-flexible cords on the top part of the device is pulled, opening up the hand in the same way as a real hand would remain open, with the fingers slightly curved inwards. These corresponding movements allow Delgado to close his hand naturally by simply bending his wrist about 20-30 degrees downward, and opening it back up by returning to the natural position. You can learn more by visiting eNABLingTheFuture.org. Asteroid Comes Close Jan. 26th – Mysterious Sand Dunes On Comet 67P? 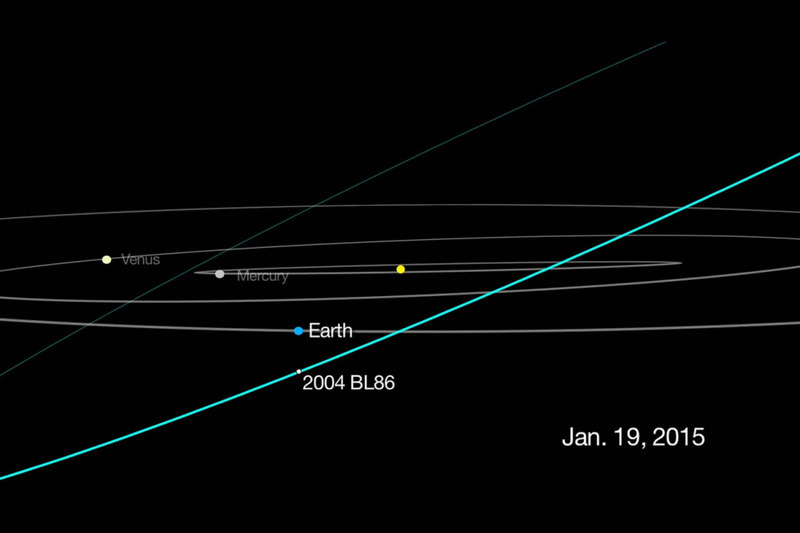 January 26, 2015 Albuquerque, New Mexico – On Monday, January 26, 2015, at 11:19 AM EST, a large asteroid about one-third of a mile wide will zip past Earth some 750,000 miles (1.2 million km) away. The Goldstone Deep Space Network near Barstow, California, will track the asteroid. At that time, the asteroid should be close to the Beehive Cluster and with a powerful pair of binoculars, you might be able to see it. See sky map. 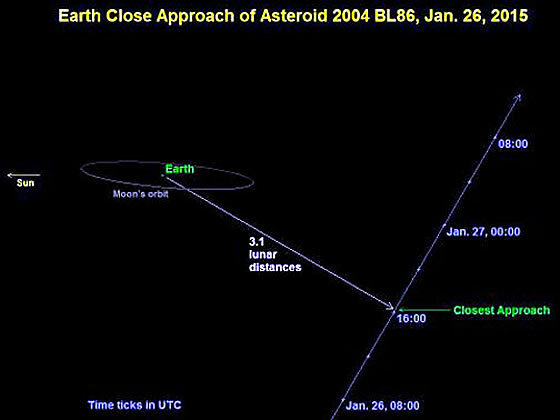 This diagram shows the close passage of 2004 BL86 on January 26, 2015, with closest approach occurring at about 16:19 UTC, or about 11:19 AM EST. The view is nearly edge-on to the Earth’s orbit. The Moon’s nearly circular orbit is highly foreshortened from this viewpoint. The asteroid moves from the south to the north, from below the Earth’s orbit to above. The roughly 500-meter (1500-foot) asteroid approaches to within 1.2 million kilometers (750,000 miles) of Earth, or about 3.1 times the distance of the Moon. This is the largest known asteroid to come near Earth until 2027, when another large rocky body called 1999 AN10 could come as close as 22,000 miles from Earth on August 7, 2027. 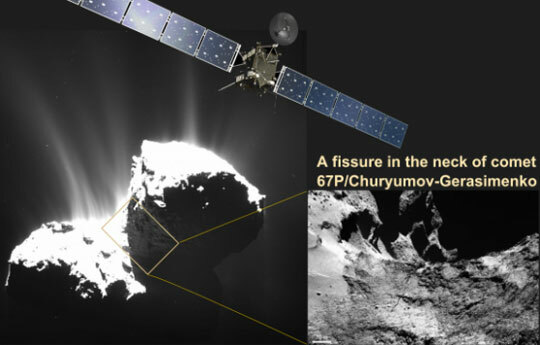 The January 23, 2015, issue of the journal Science has ten new articles by European Space Agency scientists about the Rosetta Comet 67P/Churyumov-Gerasimenko mission that landed in November 2014, on the rubber-duck-shaped icy structure. All of the new science data adds up to what one researcher calls “a world of surprises” in the comet. The European Space Agency (ESA)’s Rosetta mission reports in the journal Science that Comet 67P/Churyumov-Gerasimenko is showing a large crack about 300 feet long “across the neck of Comet 67P that raises the question: if, or when, will the comet break up?” See January 23, 2015, journal Science in Websites below. Comet 67P is 2.5 miles long (4 km) and oddly shaped like a child’s rubber duck toy. Image credit: ESA/Rosetta. Comet 67P is 2.5 miles long (4 km) and oddly shaped like a child’s rubber duck toy. 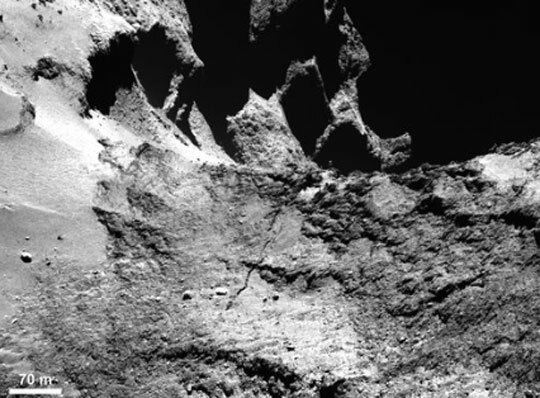 ESA’s Philae lander bounced down on the comet and cameras took photos while Philae’s batteries lasted for 57 hours – unprecedented close-ups of a comet’s surface. It’s possible that Philae will “wake up” again when the sun shines on Philae again. — The Rosetta orbiter in December took high-resolution photographs as fine as 2.5 feet per pixel and looked for the washing-machine-size Philae lander, but could not see it. Where is the Philae lander? Hapi region shows evidence of possibly local gas-driven transport producing dune-like ripples. Image credit: ESA/Rosetta/MPS for OSIRIS Team. Features in the Hapi region show evidence of possibly local gas-driven transport producing dune-like ripples (left) and boulders with ‘wind-tails’ (right) – where the boulder has acted as a natural obstacle to the direction of the gas flow, creating a streak of material ‘downwind’ of it. The images were taken with the OSIRIS narrow-angle camera on September 18, 2014. Close-ups of a curious surface texture on Comet 67P. Image credit: ESA/Rosetta/MPS. Close-ups of a curious surface texture on Comet 67P nicknamed “goosebumps,” all of them at a scale of around 3 meters diameter and going across areas for as far as 100 meters. — There are various cracks in the icy comet, the longest being about 300 feet long at the neck where the two comet sections meet. 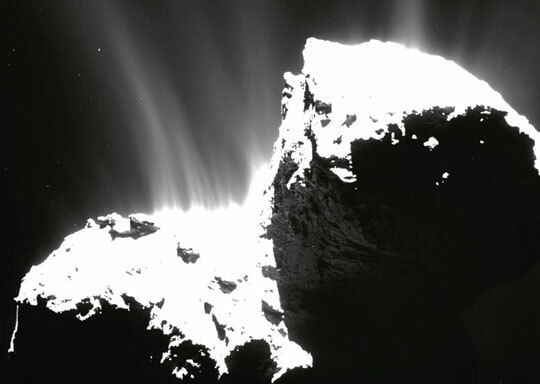 Scientists wonder if that crack will get bigger and that 67P could break in two. 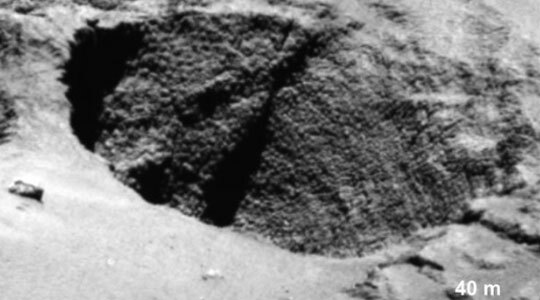 A narrow-angle camera image shows part of a large fracture running across Comet 67P/Churyumov–Gerasimenko’s neck. Image: credit ESA/Rosetta/MPS. WASHINGTON — On Wednesday, the House and Senate Commerce Committees will discuss companion bills introduced by Sen. John Thune (R-S.D.) and Rep. Fred Upton (R-Mich.). The two members of Congress proposed the legislation in advance of an anticipated Net Neutrality ruling by the Federal Communications Commission, which is expected to reclassify Internet access under Title II of the Communications Act in a vote next month. “If you want a few unregulated monopolies and duopolies to stifle competition and control the future of communications, these are the bills for you. But if you think that essential communications networks deserve basic protections, then these bills are a wreck. “Both fail to even mention nondiscrimination, a glaring sign of Thune and Upton’s intent. Despite what they claim, this legislation won’t safeguard Net Neutrality. The bills instead would undermine the FCC’s ability to protect Internet users by removing broadband and wireless companies from nearly all agency oversight. 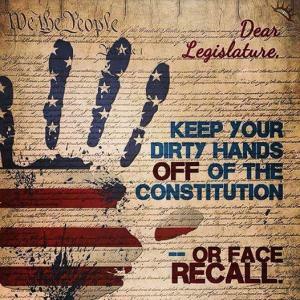 “The legislation fails at the very thing it claims to accomplish. It prohibits a few open Internet violations but opens the door to new industry abuses. It claims to give the FCC limited adjudication powers but removes the agency’s ability to adopt and adapt rules to fit the changing landscape for high-speed Internet access. “What Thune and Upton are actually trying to do is declaw the one agency responsible for protecting the public interest in communications. Having lost their fight against Net Neutrality in the court of public opinion, companies like AT&T, Comcast and Verizon are trying to use fake Net Neutrality bills to end all effective oversight of their anti-competitive, anti-consumer practices. “The solution is simple: The FCC should return to Title II, the applicable law that a bipartisan Congress wrote for all telecom networks, including broadband Internet access. That would restore the FCC’s critical authority to prevent harmful discrimination, and also to promote competition, universal service and access, interconnection, public safety, and general consumer protections in an increasingly concentrated market that’s drifting dangerously toward monopoly. “The FCC can adopt rules under Title II and forbear from those that aren’t needed to protect the public interest. 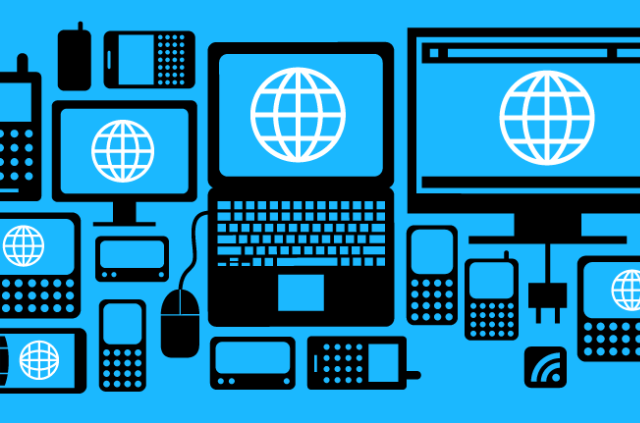 Title II with forbearance will protect Net Neutrality while preserving the agency’s flexibility to respond to the ever shifting cat-and-mouse games ISPs play to favor their own content. The removal of the FCC’s rule making authority handcuffs the agency while also limiting the public’s ability to comment on the process. Under the legislation, the FCC can only adjudicate complaints alleging violations of these rigidly defined categories, and there’s no timetable required for such adjudications. Reasonable network management is just as loosely defined as it was in the 2010 rules definition, creating a potentially unbounded loophole — especially if the FCC is prevented from implementing rules or providing further guidance about what constitutes a “legitimate network-management purpose” under the legislation. 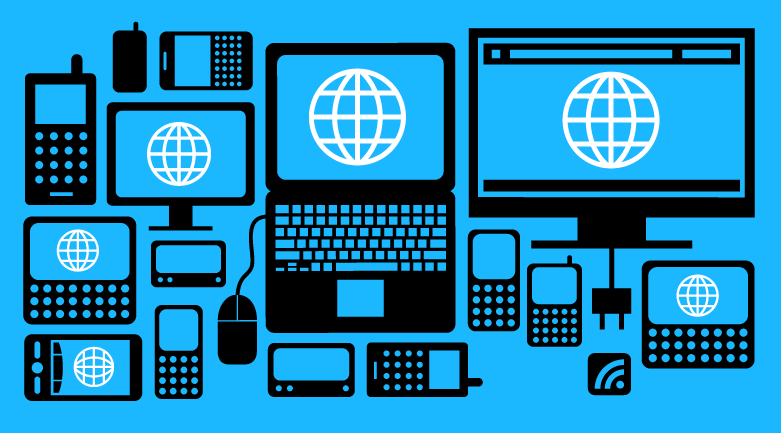 Considering how narrow the prohibited harms listed in the bills are, almost any other network-management practice may need to be deemed reasonable and outside of the FCC’s authority, no matter how discriminatory and harmful that practice may be. ISPs’ unpaid or vertical prioritization, allowing for prioritization of their own or their affiliates’ content, so long as there’s no specific payment for such treatment. ISPs’ throttling based on application used or some other factor may be expressly allowed, because the legislation only prohibits throttling based on the source, destination or content of Internet traffic. This could allow, for instance, throttling of any and all voice or video apps that compete with an ISP’s legacy cable or voice services, or throttling of other applications so long as such throttling did not take the form of prohibited paid prioritization. ISPs’ discriminatory application of data caps, where an ISP could exempt its own content from such caps, or a third party could pay the ISP for such an exemption since no packets would be sped up or slowed down for payment or non-payment. ISPs’ continued argument that they may impose access charges and/or so-called “interconnection fees” simply for delivering traffic that the ISPs’ own customers request, so long as the congestion allowed to occur at interconnection points does not constitute prioritizing or de-prioritizing packets over the last-mile network. The legislation effectively guts all the consumer protections and public-interest principles Congress adopted in an overwhelmingly bipartisan fashion in 1996 for existing and future two-way communication networks. Americans need competitive, universal, affordable, accessible and fully interconnected nondiscriminatory communications services. This legislation fails on all these fronts by stripping the FCC of authority to deal with such topics under Title II and even under the weaker and less-tested Section 706 framework. Classifying broadband Internet access as an information service could hamper the FCC’s ability to promote competition and protect users of any broadband telecom service, and all telecommunications service beyond plain old telephone service. Indeed, the legislation mandates treatment of any service that offers “advanced telecommunications capability” as an information service. This one single amendment to the law could void the entirety of the Communications Act. The Internet exists today because of Title II. 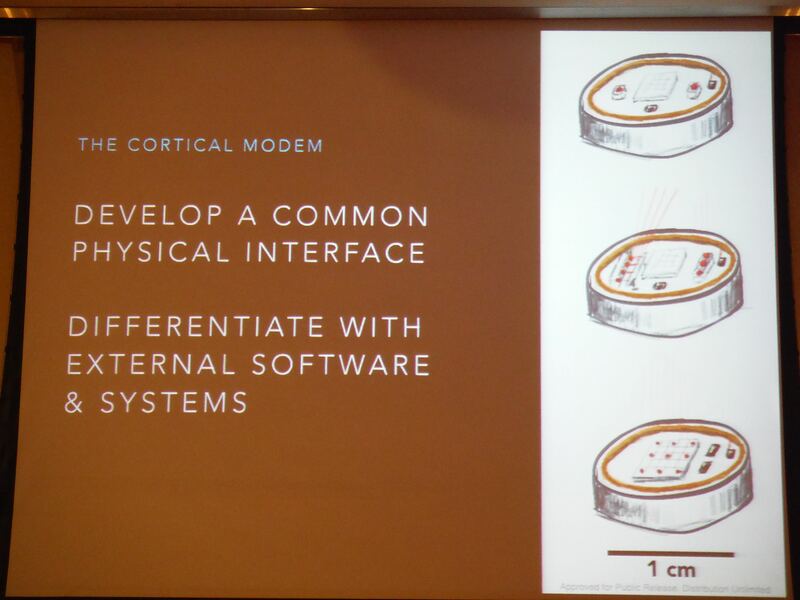 Researchers were able to use telecommunications services to connect computers together to form the Internet, without asking for the phone company’s or the FCC’s permission. This bill will kill any hope of a future, more open, more secure Internet, as it hands over control completely to the ISPs to determine the future of the Internet and all communications networks. The existing law, written and passed on a bipartisan basis, gives the FCC the power to keep all two-way communications networks open and nondiscriminatory, as well as to ensure that essential services like broadband access are universally available, competitive, and affordable, and to make sure that consumers are protected from all possible harms. This new bill takes away the FCC’s ability to uphold these values and to respond to changing markets and technologies. Our nation’s broadband problems go beyond just concerns about Net Neutrality. The FCC’s restoration of the bipartisan Title II framework will not only preserve nondiscrimination and Net Neutrality, but also several other critical communications principles such as competition, universal service, interconnection and consumer protections. When Congress and the the President sought to institute a measure of capital controls on the people of the United States, and keep the public from rushing outside the country to move their money for protection, they came up with a scheme known as FACTA. FACTA is the Foreign Account Tax Compliance Act, and under this draconian piece of legislation is the demand on any foreign bank that does business with the U.S., or utilizes SWIFT to trade in dollars, that they must provide the Internal Revenue Service all personal and financial information on any America having an account outside of the U.S.. The ramifications of this became felt almost immediately as foreign banks began closing customer accounts and halting any future programs that allowed Americans to transact, invest, or deposit money offshore. And on Jan. 13, the next phase of FACTA came online as the IRS announced the initiation of a database to monitor in real time customer accounts of sovereign and foreign banks. Known as the International Data Exchange Service, this colossal repository will now treat anyone with a bank account as a suspect and person of interest, and assume guilt no matter if any financial crime or evidence of tax evasion has occurred. 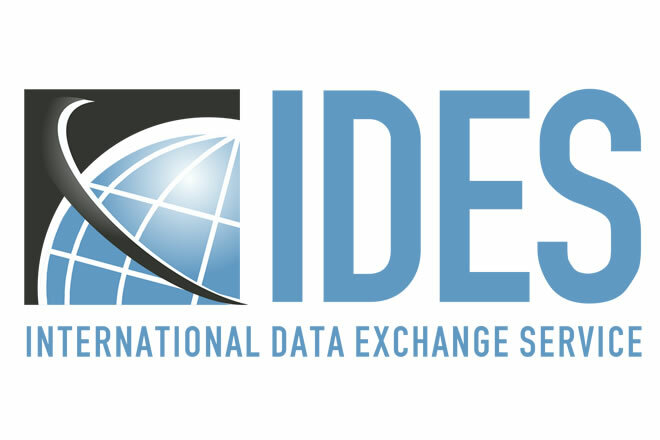 Yesterday, the IRS announced the International Data Exchange Service. If you’ve not heard of it, it’s is an outgrowth of the Foreign Account Tax Compliance Act (FATCA), which requires every single bank in the world to get in bed with IRS to share information about customers. We’ve said this over and over, FATCA is probably the dumbest law in the history of the United States. And I don’t say that lightly, because there’s definitely stiff competition. Like any other bankrupt government, the US government has taken to intimidating its own citizens and the entire world in an attempt to make ends meet. Here’s the ultimate irony: there are nations in this world that are not recognized by the United States. The Turkish Republic of Northern Cyprus. Abkhazia. Etc. Yet banks in these regions still have to sign up with the IRS. With the Patriot Act, the government can access your financial information on a whim or at the drop of a hat using the guise of ‘War on Terrorism’ as its excuse. And now, the U.S. believes it has the moral authority to claim access to foreign banks and sovereign countries simply because they control the reserve currency, and the medium for most global trade. Which in the end leads to only one effective solution for the American people, and perhaps account holders situated around the world… if you do not want Daddy government monitoring and spying on your bank accounts, then what reason is there to hold your money any longer in a bank or financial institution? “The partnership brings together the best and brightest of NASA and Nissan and validates our investments in Silicon Valley,” said Nissan Chief Executive Carlos Ghosn. 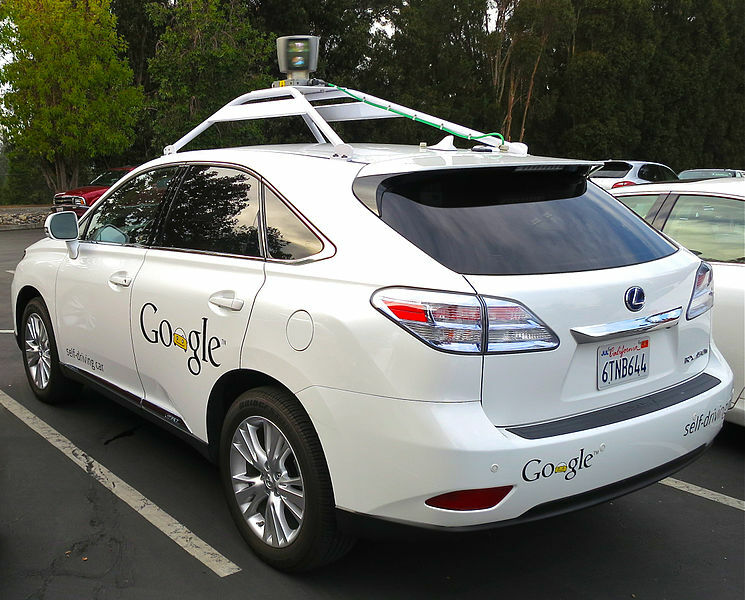 “The partnership will accelerate Nissan’s development of safe, secure and reliable autonomous drive technology that we will progressively introduce to consumers beginning in 2016 up to 2020,” he added. 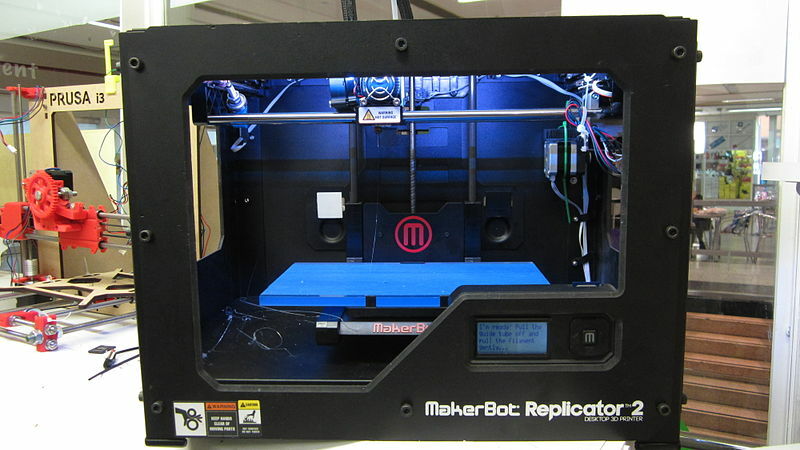 In a short amount of time, the options in consumer 3D printers have exploded. Makers now have a vast amount of choices when it comes to print size and print quality, but are still restricted to one medium: plastic. 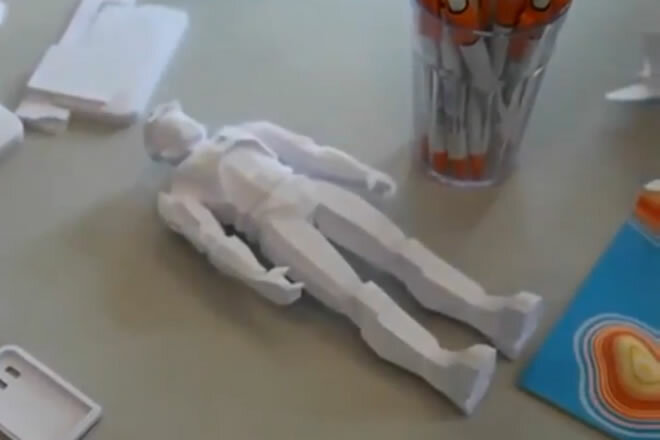 Anyone who has used a 3D printer will tell you how much patience is required in working with hot plastic. It shifts, it shrinks, it sticks, it is slow to work with, and the end product feels cheap. For this panel, I speak with representatives from three companies who are taking 3D printing in new directions by opening up new possibilities in materials: wood, paper, metal, circuit boards, rubber and resins. 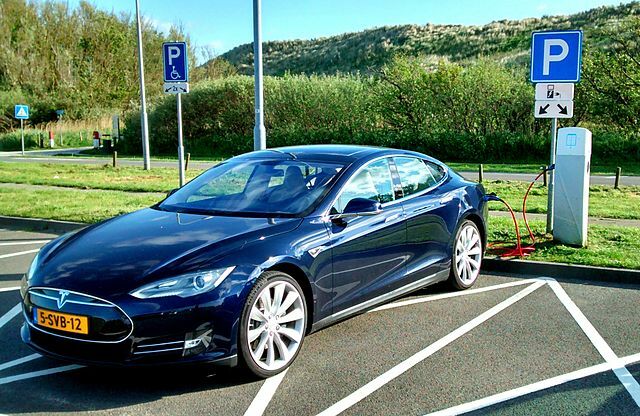 If 3D printing is to be a revolution in product prototyping and fabrication, it’s going to take more than plastic. These are the innovators who are expanding the scope of 3D printing and the palette of options available to us. The panelists include Danielle Applestone, CEO of Other Machine Co.; Conor MacCormack, CEO of Mcor Technologies and Colin Raney, managing director of Formlabs. CNET’s Donald Bell hosts a panel discussion with Other Machine Co., Formlabs, and MCOR, three unique outliers in the increasingly crowded world of 3D printers. 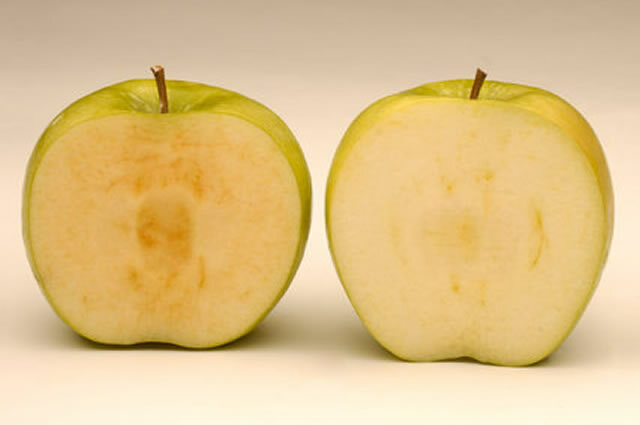 Image credit:“Captive” by Todd Tarselli, American Journal of Public Health. In this way, they become the perfect voluntary dupes for men who want control of the whole planet. Example: One of the foremost lunatic practitioners of torture was world-famous Canadian psychiatrist, Ewen Cameron, who carried out experiments on unwitting patients in the 1950s. Cameron, during his career, was President of the Canadian, US, and World Psychiatric Associations, the American Psychopathological Association, and the Society of Biological Psychiatry. There was no one in his profession more highly decorated. The third gap can be enormous, depending on the person. Voluntary thought in its basic form isn’t a product of the brain at all. The brain REFLECTS thought that is created by the person. 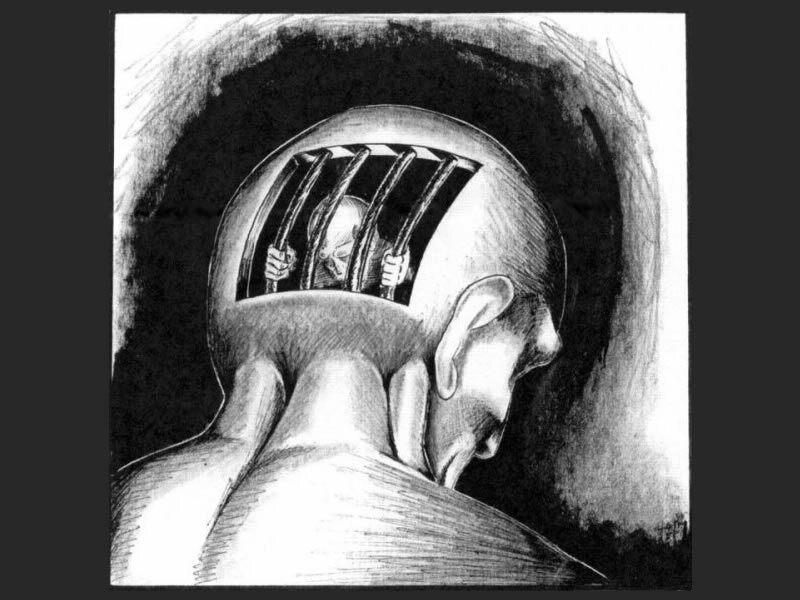 The major problem for humanity, vis-a-vis mind control, is the large number of people who already are only dimly aware of what they’re thinking and feeling. They can be manipulated with relative ease. But that is no surprise. It’s the end-game of philosophic Materialism, a bankrupt and contradictory system. Human beings are not machines. Human beings are not material objects. 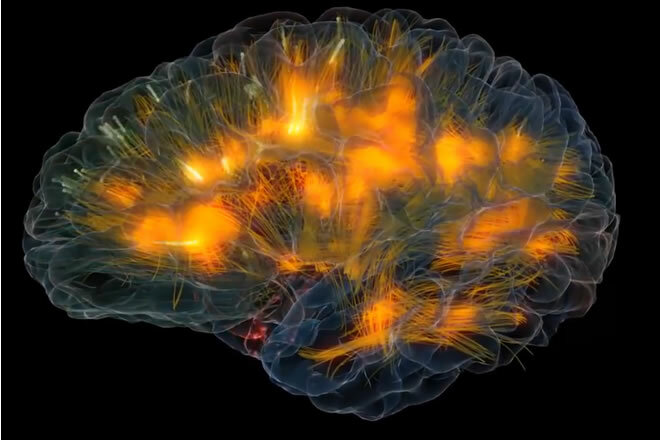 The brain is not the source of consciousness or thought.